Instantly, and in the spirit of the film Jerry Maguire, Netflix’s latest Rom-Com The Perfect Date quite literally had me at hello. I heard the strumming bass line from “Back in the Tall Grass” by the band Future Islands (whose record Singles is an all-time personal favorite), and without realizing it, I found myself hunched forward, my sentimental heart and my eyes inching closer to the promise of potential love found in a fairy tale world. This is my kind of movie. These young people are good, but if they’re ever spiteful it’s within reason. They’re aspirational, yet most don’t know what they want. And as a sincere reflection of what it means to grow up and to forage for romance in the now, The Perfect Date shows how modern dating is its own form of performance art, how you can be more filtered online than in the moment, and it’s a film about finding a reliable, honest connection in otherwise WiFi world. It’s charming, funny, smart. What’s not to like? In one of the few moments I didn’t really care for, The Perfect Date begins with a rather unoriginal introduction, although it works to the script’s advantage. 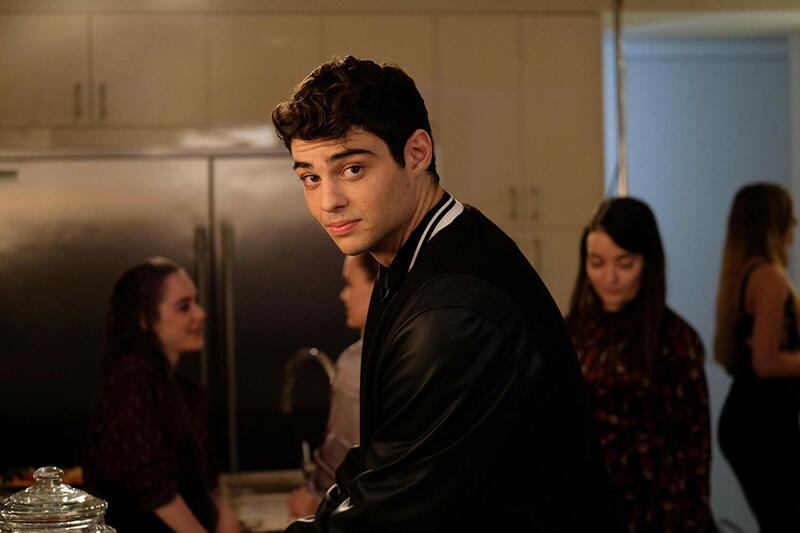 Brooks Rattigan (Noah Centineo, a bona fide movie star in the making) drives the kind of jalopy you hear before you ever see it, and the film opens with him narrating his struggles as he writes an admissions letter to his dream school Yale, even though his Dad Charlie’s (Matt Walsh) brief time teaching at UCONN could guarantee his acceptance as well as a staggeringly cheaper tuition. It’s an effective narrative device but the scene too closely mirrors a similar moment from The Spectacular Now, a scarred film that doesn’t try to cover the pain with makeup. Brooks doesn’t make a unique impression. Yet having seen it twice now, I think that’s because The Perfect Date is a completely different type of movie, more dreamy and less brutal, and in many ways more clear with its overarching message that honesty really is the best policy. As clumsy and uncomplicated as most first dates, yet still reminiscent of the silly, often self-constructed drama experienced by high schoolers from any era, The Perfect Date speaks for the present while still applying to the past and the foreseeable future. 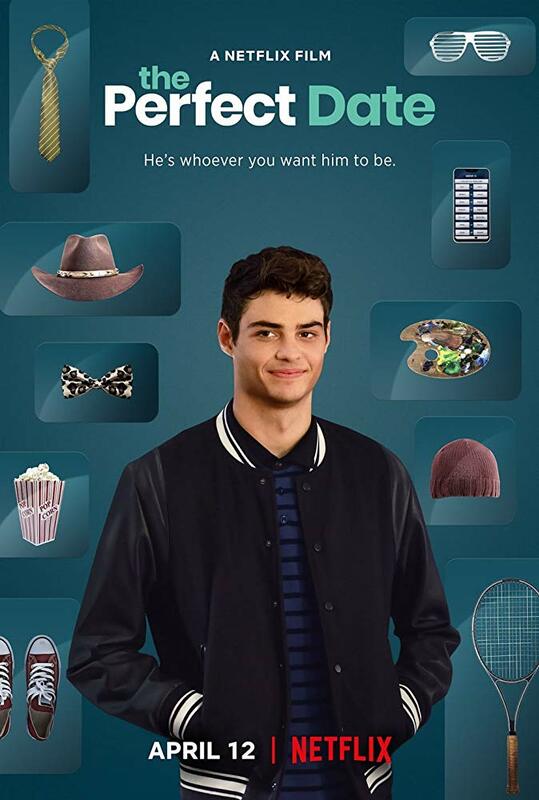 In this movie, Brooks’ friend Murph (Odiseas Georgiadis) builds a unique dating phone app, one where Brooks adapts to the needs of the user, changing who he is on the fly whilst banking more money for Yale than he ever could as a purveyor of the sandwich arts at the local sub shop. 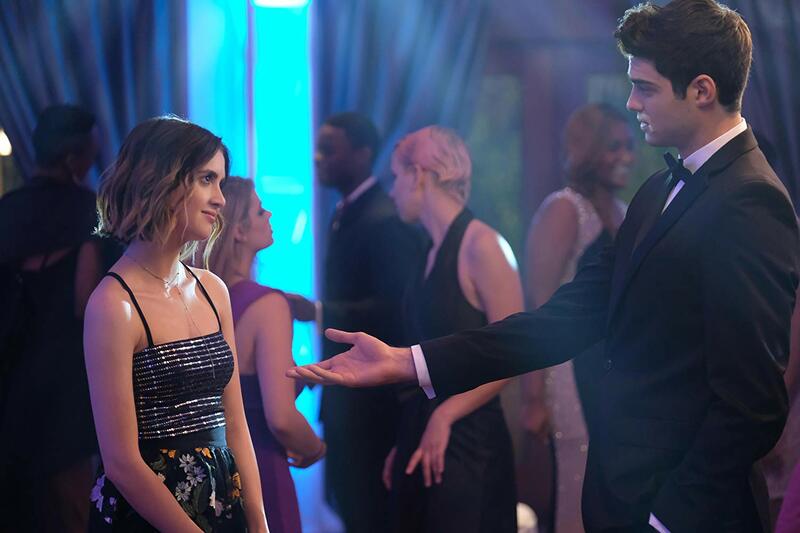 His biggest challenge is Celia Lieberman (Laura Marano, who’s great here, and surprisingly uncanny), a snarky and sharp and wealthy young lady whose parents pay Brooks to accompany her to a dance. This is where Brooks finally seems genuine, when Celia’s invisible fence cautiously unlocks a gate, and where two opposites attract without having the courage to submit to the attraction. They’re young and they have the energy to fight fate. We see how they look at each other though. The eyes don’t lie, especially at this age. Brooks pines for Shelby Pace (Camila Mendes), a rich girl with a 10-year plan written in stone. Celia chases after Franklin (Blaine Kern III), a coffee connoisseur and a vinyl snob. As is typical in real life, the two people who are meant for one another get confused and pursue the wrong paths. This is where they – and where we, should you be old enough to know from experience, or where you’ll likely find yourself one day – learn to trust that feeling lingering deep down in the gut. It’s a fight to the end, and what separates The Perfect Date from its easy comparisons – the movie’s an awkward amalgamation of the social norms scolded in She’s All That, the invasive nature of A Case of You, and a male gigolo fable most similar to 2010’s French film Heartbreaker – is that the picture looks simple but packs enough heart to be a universal blood donor ten times over. 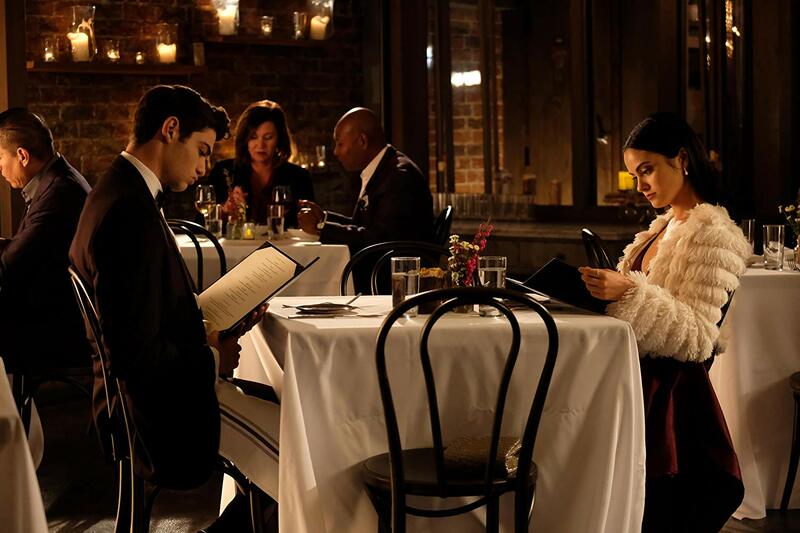 There’s a singular, spectacular scene in The Perfect Date which uplifts this occasionally cutesy date night movie, covered in warts and worry and wisdom, to something quite unexpected. On assignment and during a pivotal moment for Brooks, he’s tasked with walking an elderly, widowed, African-American woman down the middle of a street. She did this every day with her late husband, we’re told. She happily critiques the lost love of her life and recalls him with her creased eyes and selfless ruminations. Brooks surrenders to this moment, as do we. 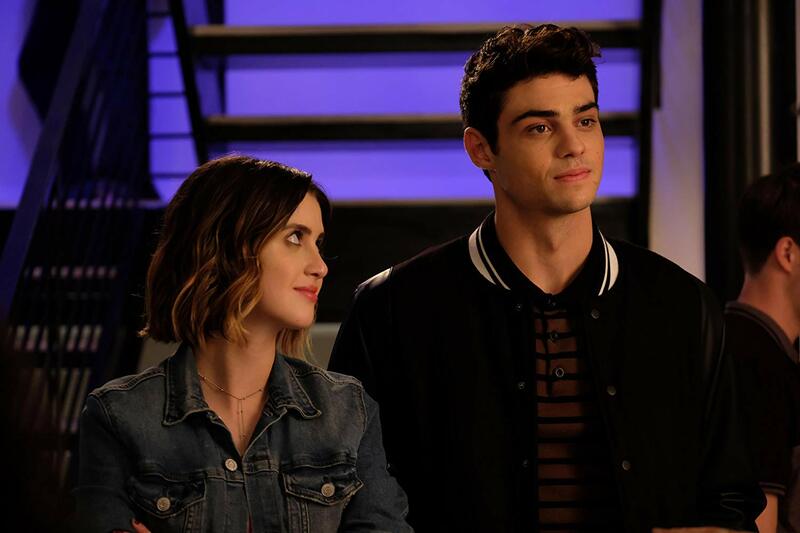 The Perfect Date has plenty in common with the resurgence of great, original romantic comedy’s in Netflix’s line-up like Set It Up and To All The Boys I’ve Loved Before, but this one modernizes a schlocky 90’s era approach and evolves into something sweet, sincere, and just a little bit sinful. I imagine many teens will learn and remember more from this movie than they do any algebra class. I know I would have.